This month sees the 13th anniversary of the fall of Baghdad to US forces on April 9, 2003 – an invasion initiated by the Bush administration in breach of international law and aimed at “disarming Iraq of weapons of mass destruction” that were never to be found. 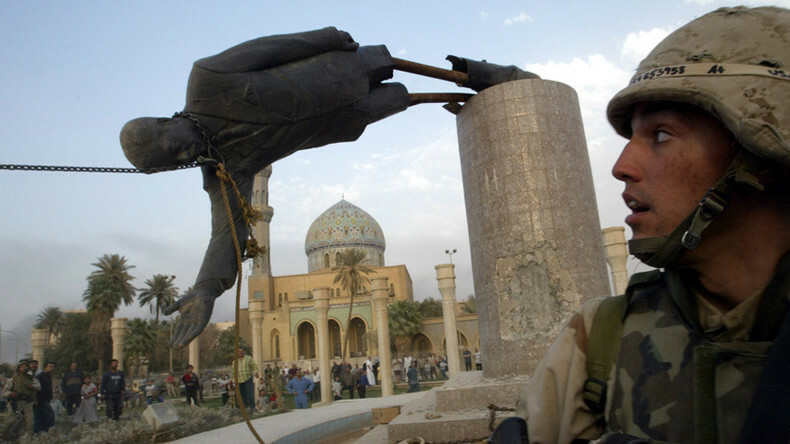 When Saddam’s statue was toppled, it was a huge milestone after more than 20 years of his rule. But that feeling would soon be replaced by mounting questions as to the real reason for the US presence in Iraq – especially after anywhere between half a million and a million people had to die for us to find out that the key pretext for the invasion was trumped up. This doubt only escalated as the War on Terror progressed elsewhere, before we finally arrived at its baby – Islamic State (IS, formerly ISIS/ISIL), standing on the shoulders of Al-Qaeda and Al-Nusra Front. All these years later, a modest 40 percent of Iraqis believe the US worked to destabilize Iraq and claim its natural resources. And almost a third believe Washington actively supports terrorism to achieve its ends, according to the Office of the Inspector General. This particularly concerns Islamic State, according to the survey. “As soon we approach the problem from the legal grounds, we immediately realize that the war in Iraq was illegal,” Taher Bourmedra, former UN human rights chief in Iraq and a UN secretary general special representative for Iraq, told RT in an interview. He stressed that the US-led military operation, dubbed ‘Operation Iraqi Freedom’, was an act of direct aggression towards a sovereign country, as the US failed to obtain a mandate from the UN Security Council. “In this case there should be compensation for damages,” he added, referring to the chaos and destitution the city now finds itself in. In the global quality of living ranking, published by Mercer, Bagdad ranks 230th, being the worst city in the world to live in. Multiple war crimes allegations, including torture and targeting civilians with airstrikes, have been registered in the course of the operation. “…There is plenty of evidence, hundreds, perhaps even thousands of Iraqi and international organizations have recorded the crimes committed during the occupation,” Daham Al Azawi, member of the independent commission on human rights in Iraq, told RT. “We understand that United States are still present here despite the withdrawal of its troops,” he concluded. The US forces officially formally ended their mission in Iraq in 2011. 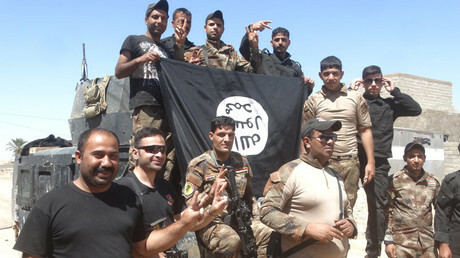 However, in June 2014 American forces were again dispatched to Iraq to fight Islamic State. In October 2015 the US Defense Department went as far as to announce that it was ready to engage in “direct action on the ground” if needed. The statement was met with stern rebuke from Iraqi government. “This is an Iraqi affair and the government did not ask the US Department of Defense to be involved in direct operations,” government spokesman Sa'ad al-Hadithi told NBC News.